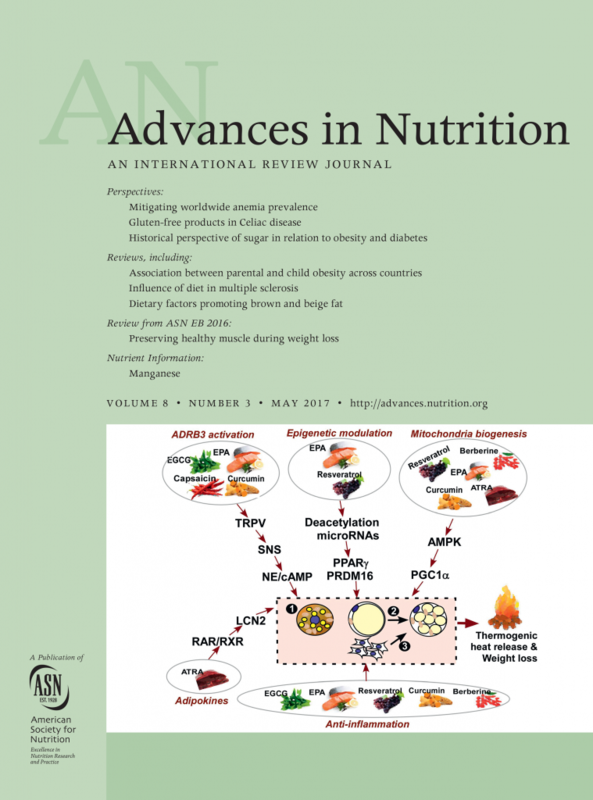 On the Cover: Dietary factors promoting brown and beige fat development and thermogenesis. Meshail Okla, Jiyoung Kim, Karsten Koehler and Soonkyu Chung. May 2017. Dietary factors promoting brown and beige fat development and thermogenesis. Advances in Nutrition 8(3), pp. 473-483. Jiyoung Kim is a postdoctoral research associate in the Department of Nutrition and Health Sciences. Karsten Koehler and Soonkyu Chung are assistant professors in the Department of Nutrition and Health Sciences.